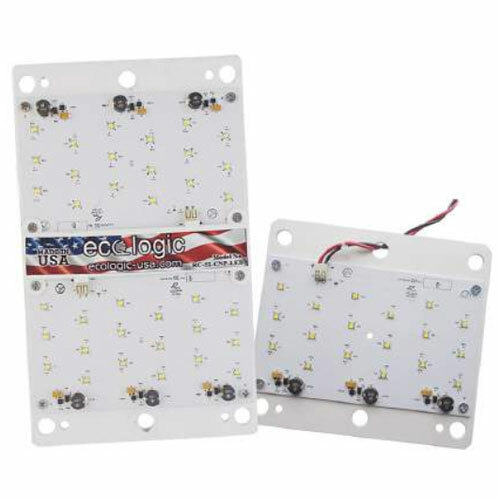 The LED Conversion Kit is one of our most versatile LED products. 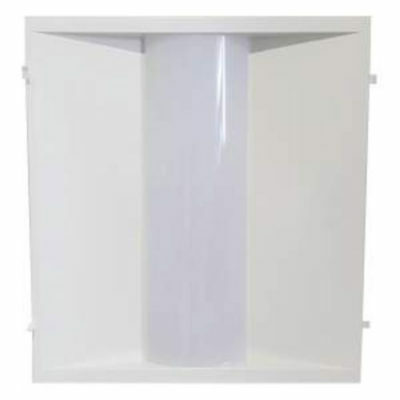 It was designed by two electricians who wanted to make a labor and energy saving LED retroft kit for common gas canopy fxtures. The standard LED conversion board is designed to retroft 95% of these fixtures currently installed in the feld; fuel station canopies, building wall packs, low bays, shoe boxes, and cobra head street lights. With the use of our standard adjustable light brackets, or a custom-designed adapter plate, it makes the conversion user-friendly and very quick. There are multiple upgrades available for this retroft kit as well, which are designed for the gas station canopy market. These conversion kits provide a sleek and modern look—a huge update from bulky, outdated eyesores. Whether you want to swap out the “guts” of the fxture or give your fxture an entirely new look, the RC line will get the job done at a low cost while saving energy. UL recognized (E471619) luminaire conversion retrofit kit for permanently connected HID. OSRAM Driver (120/277V) For RC-90, RC-120 and RC-150 only.